"Quality tools that go to work with you.®"
Fabtech Mexico 2017 will begin on May 2, 2017 and conclude on May 4, 2017 in Monterrey Mexico at the Cintermex exhibition center. Fabtech Mexico is the primary gathering place for leading metal manufacturers in Mexico. Over 575 exhibitors will display their products and present their company’s most recent innovations in the metal forming, fabricating, welding and finishing industries. 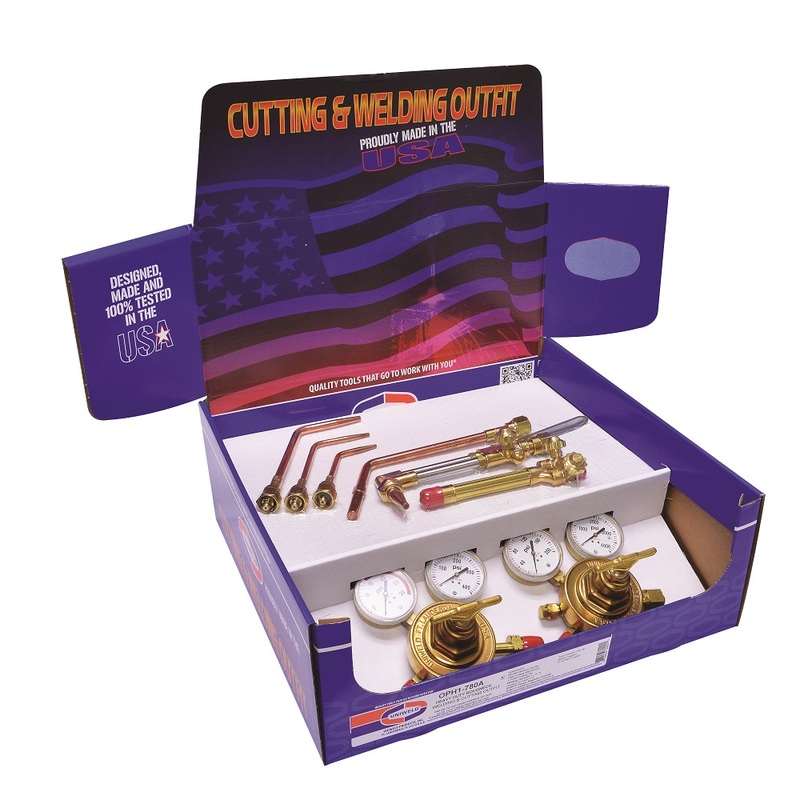 Uniweld prides itself on its USA made products and will feature their most popular welding kits, such as OPH1-780A & WURKS-V, with their USA made RV Series heavy duty regulators, welding handles, cutting attachments, cutting tips, welding tips, and gas apparatus outfits. Uniweld’s RV series regulators feature a removable back plug for easy seat repair. The Wurks-V is a 12 piece outfit that is packed in its own rugged Wurks box with a compartmented accessory tray. Supplied with a 1/2” cutting capacity, this work horse has a cutting capacity of up to 6” with optional cutting tips. As equipped, it can weld up to ¼” metal and has a maximum welding capacity of up to 1-1/4” with optional welding tips. Uniweld offers these products using 3 different technologies: a) mixture of gases in the cutting apparatus’ tube, b) mixture of gases in the cutting apparatus’ head, and c) mixture of gases in the cutting tip. Please visit Uniweld at their booth number 700 to see which technology best suits your particular application. Uniweld Products, Inc. has manufactured quality welding and cutting equipment at its factory located in Fort Lauderdale, Florida U.S.A. since 1949. 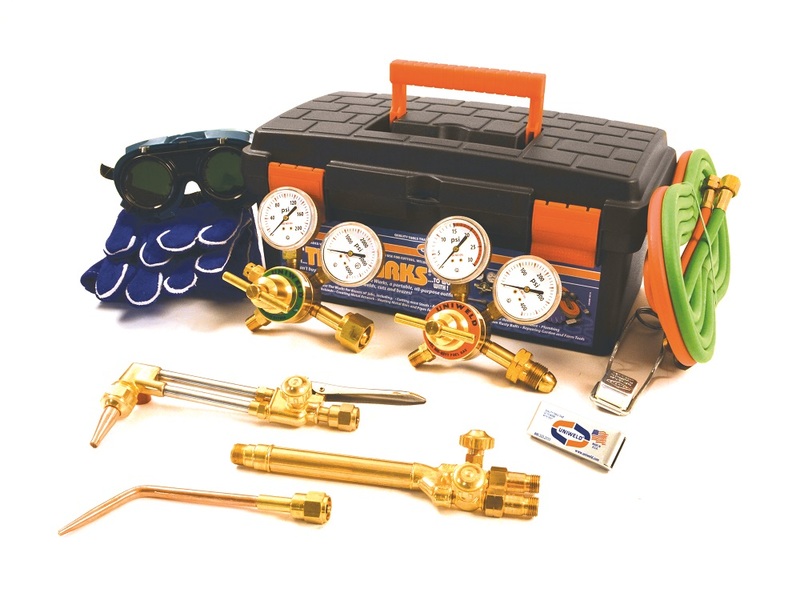 Refrigeration manifolds & hoses, vacuum pumps, tubing tools, nitrogen kits, cutting torches, welding handles, cutting attachments, pressure regulators, pressure gauges, cutting tips and welding tips are among the products manufactured at Uniweld's factory in Fort Lauderdale. Uniweld....."Quality tools that go to work with you.®". WURKS-V Outfit for Cutting, Welding, and Brazing OPH1-780A Outfit for Cutting, Welding, Brazing, and Heating Uniweld Products, Inc.